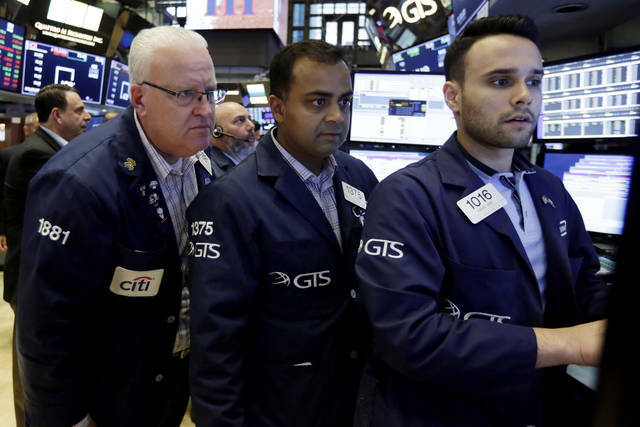 NEW YORK (AP) — Major U.S. stock indexes finished unevenly Wednesday as gains in banks and other financial companies outweighed losses elsewhere in the market. “If the economy continues to move forward then interest rates have more room to creep higher and the Fed has more room to continue raising (short-term rates),” he said. Trading was listless through much of Wednesday. The slight gains for the S&P 500, the market’s benchmark index, added to a solid rally a day earlier, when investors shrugged off initial jitters over the latest escalation in the trade dispute between the U.S. and China. Bond prices fell, driving the yield on the 10-year Treasury to 3.07 percent from 3.04 percent late Tuesday. That’s the highest level since May 22. Traders bid up shares in Fitbit after the maker of wearable exercise trackers launched a platform that offers personalized coaching. The company also announced a partnership with Humana to potentially give the insurer’s 5 million members access to the platform. Fitbit gained 5.3 percent to $6.11. Praxair climbed 3.9 percent to $164.37 on news reports that the industrial gases company is moving closer to U.S. antitrust approval of its merger with Germany’s Linde. Copart slumped 13.4 percent to $55.58 after the operator of online vehicle auctions reported earnings that fell short of analysts’ estimates. Major stock indexes in Europe finished higher. Germany’s DAX gained 0.5 percent, while France’s CAC 40 rose 0.6 percent. Britain’s FTSE 100 added 0.4 percent. In Asia, Japan’s benchmark Nikkei 225 added 1.1 percent, while Australia’s S&P/ASX 200 gained 0.5 percent. Hong Kong’s Hang Seng rose 1.2 percent. South Korea’s Kospi finished virtually unchanged.